OTHER PHOTO AT END OF ARTICLE! 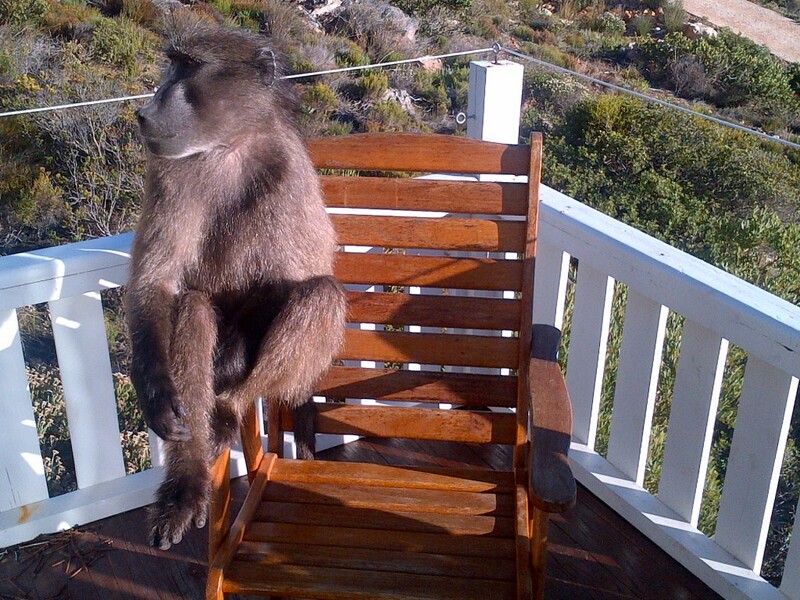 In Pringlebay humans and their pets coexisted peacefully with baboons in the past. 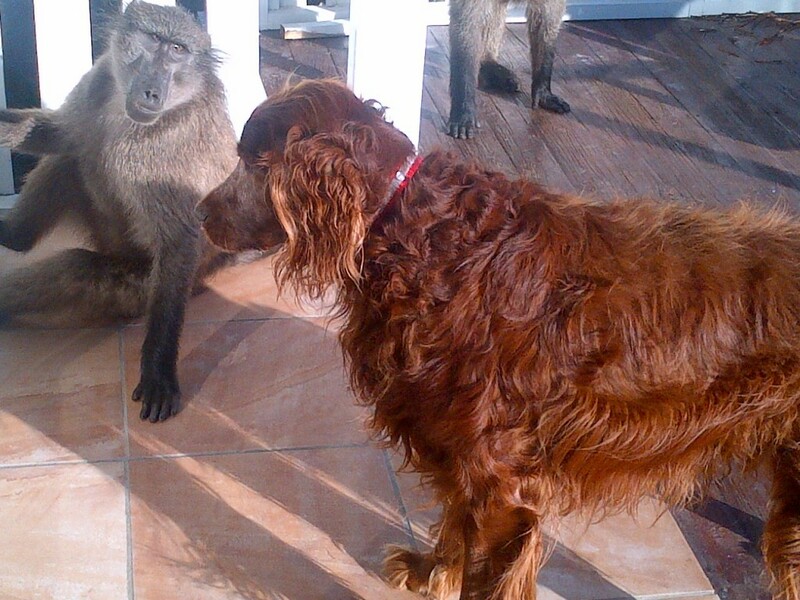 Residents love baboons as they are not aggressive and only take advantage of people not sticking to very simple rules. NOVEMBER 2017 BABOON UPDATE: ALPHA MALE AND “WIFE” COLLARED AND MONITORED BY OUR BABOON MONITORS WHO KEEP THE TROOP IN THE MOUNTAINS. Most people bought properties in the Pringle Beach Village exactly because they wanted to be close to nature. Totally inexplicably the behavior of one of the troops changed dramatically in 2012 after National Geographic had attracted baboons to a house here in Pringle Bay and over weeks enticed them to master obstacles to get into houses to always be rewarded with food. They even placed a fridge with food into the open veld. Most importantly the video shows them inciting baboons to simply totally ignore a human in his house who ignored them! Baboons are lovely animals and very welcome in our area. They do however leave a considerable mess when they get into your unoccupied house house. In June 2012 an action group was formed to identify any problem animals and two where consequently shot by Cape Nature. This would not have been necessary if the illegal baboon feeding exercise would not have taken place. Baboon Monitors were employed in July 2012 and have been successful! Windows should however be closed or have baboon latches when you are not at home and garbage must be disposed in baboon proof bins.